Bilbo Baggins, are you there? While it may look like a cozy hobbit hole, the building pictured above is definitely not home to any of the furry-footed folk featured in JRR Tolkien’s novels. 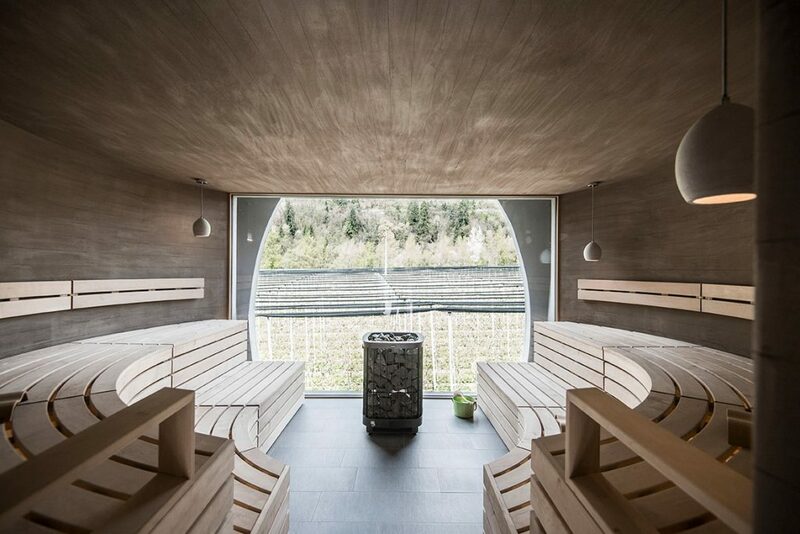 Called “Applesauna,” it’s actually a tranquil wellness area located adjacent to the Apfelhotel Torgglerhof, a hotel in Northern Italy’s Passeier Valley. 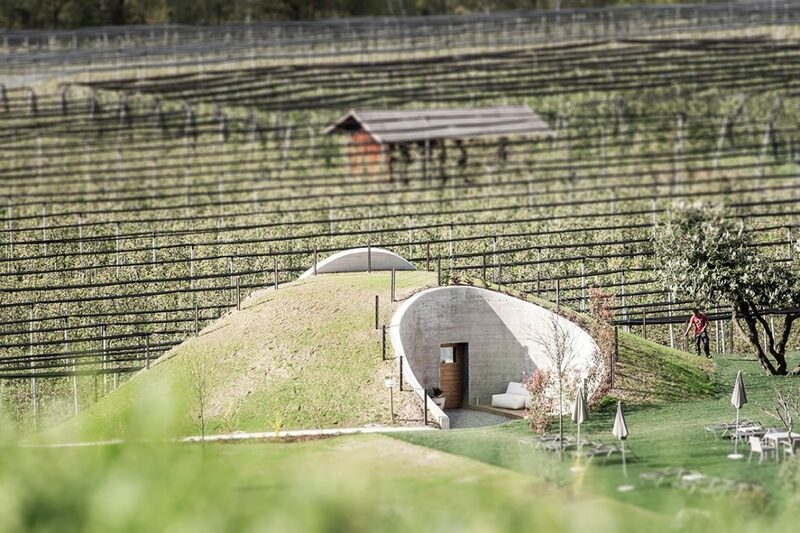 Run by the Pichler family, the Apfelhotel Torgglerhof is a relaxing getaway for those looking to escape the bustle of city life. 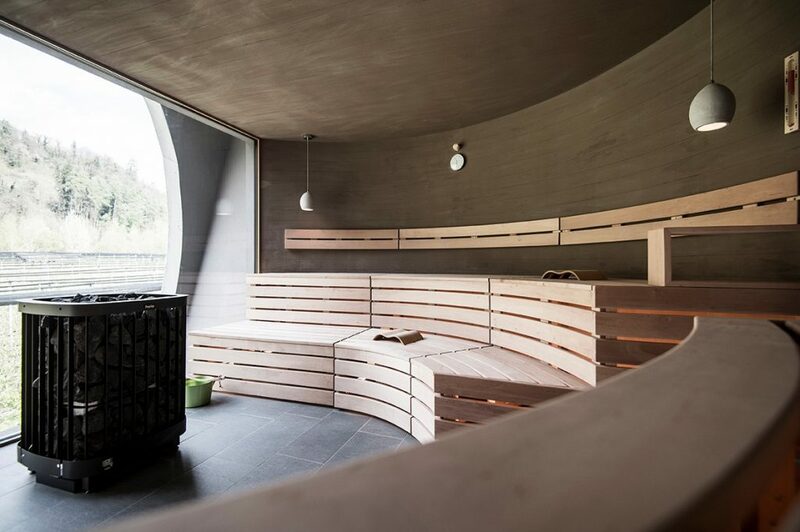 While it’s a mainstay of the region, the Applesauna was added this past spring as part of a renovation completed by Italian architectural firm noa*. Just a few months after opening, it’s already drawing renewed attention to the hotel. Part of the Applesauna’s appeal is its natural feel. Inspired by the apple trees that surround it, the two-story structure is made largely of earthy materials — the dark concrete walls that circle the sauna on the upper floor create a sense of subterranean calm, even as timber benches and a large window offer a reminder of the outside world. Below the sauna is a bright relaxation space, also with a view of the outdoors. “It was essential to us to bring the charm of the surrounding garden and nature into the interior; different elements of the historic apple harvest inspired the design,” explains Christian Rottensteiner of noa* in a brief on the project. 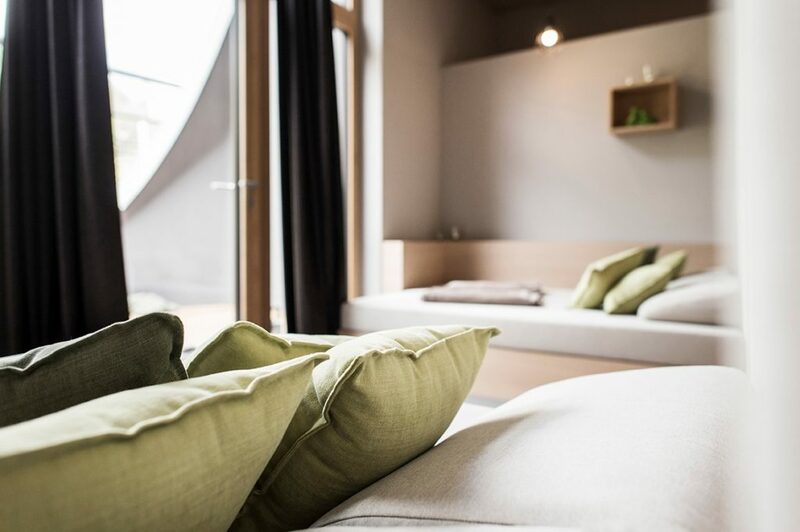 We think the Apfelhotel Torgglerhof looks like the perfect place for a picturesque summer vacation, and if you agree, you may want to click here for booking information. If the hotel’s many good reviews are any indication, it probably fills up quickly.